R Crawshaw 5.5, V Palmer 4, D Woodruff 1.5, M Thistlewood 1. D Richardson withdrawn. As you will see by the above tables, two people have withdrawn from the e-mail and one from the postal. I must stress that this is because of circumstances over which they had no control. So unfortunately the remaining contestants have not got in so much end game practice as they would have done. 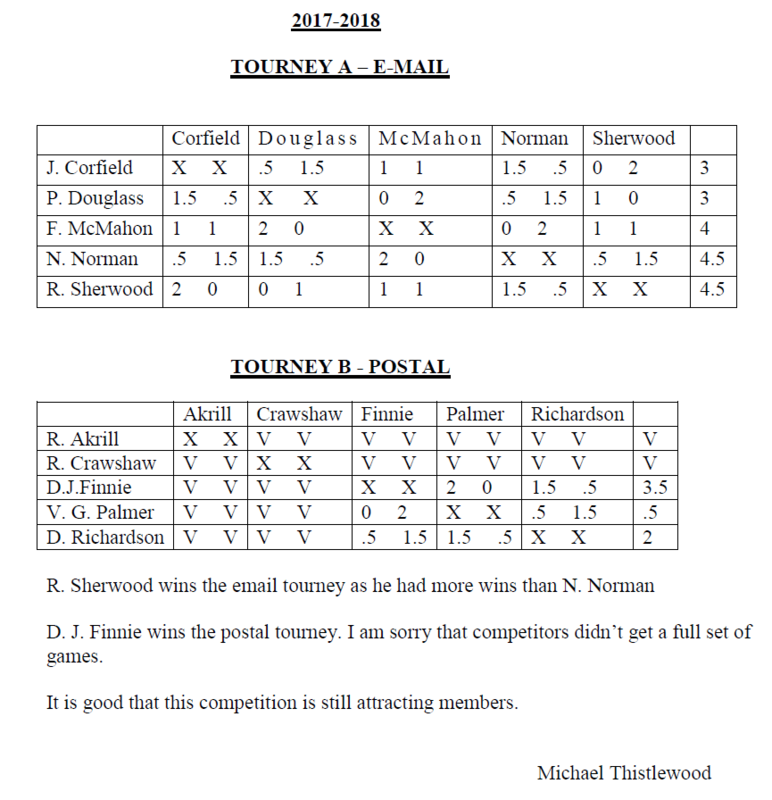 In the email, Sherwood is the winner with 3.5 followed by Akrill with 2.5. In the postal Crawshaw is the winner with 5.5 and Palmer is second with 4. I have already had one request for next season!